Fashion has many important nights each year but none as important as tonight. They don’t call the Met Gala the fashion Oscars for nothing, and this year with a theme like Punk: Chaos to Couture we can expect to see a sartorial spectacle like never before. In tonight’s star-studded event the Metropolitan Museum of Art’s annual Costume Institute Benefit will honor high fashion and the stars who wear it. To celebrate the exciting occasion, Rue favorite, One Kings Lane is giving shoppers the chance to buy like the belle of the ball: the irresistibly chic Met Gala co-chair, Lauren Santo Domingo. 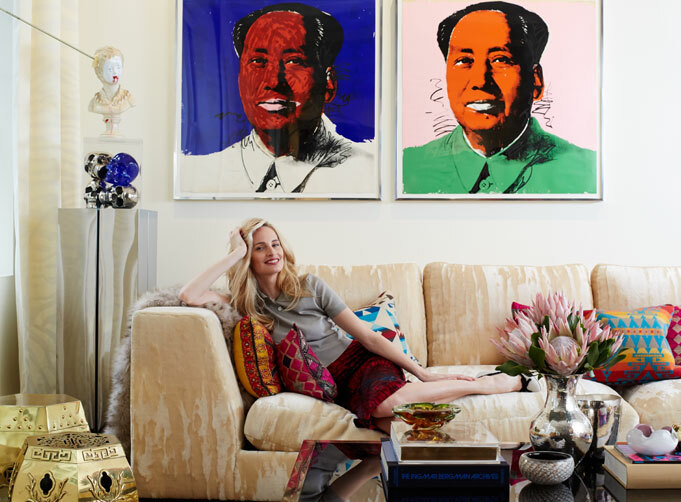 Lauren, Vogue contributing editor and Moda Operandi creative director, may be best known for her fashion choices but, take it from us, scores high with a second style talent for the home. 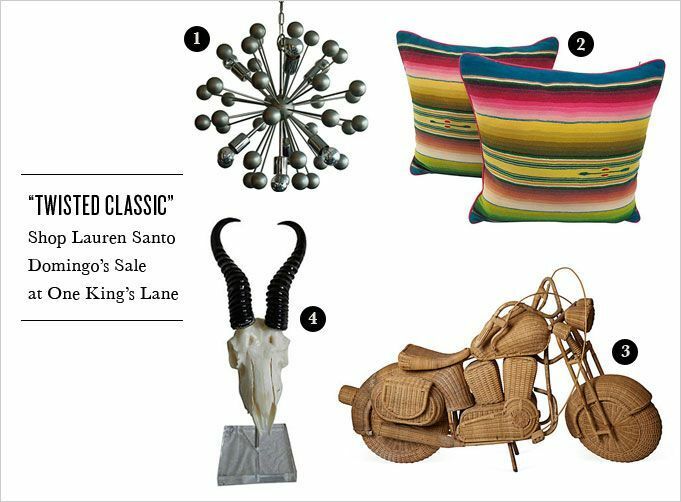 Revealing her curated style guide and sale just for One Kings Lane, Lauren asks “Why be boring” and inspires along the way. Rue sat down with the tastemaker to get the answer to that and more, and a sneak peek inside her eclectic home! We’re thrilled to chat with you today! You’ve curated a style guide and sale for One Kings Lane around your motto “Why be boring?” Tell us more about this style rule you live by! Fashion and décor should amuse you and your friends—why be boring? 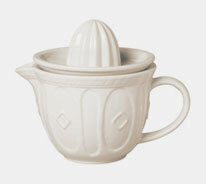 I chose items that range from perfectly functional to completely strange. We love someone who’s not afraid to shock with style choice! 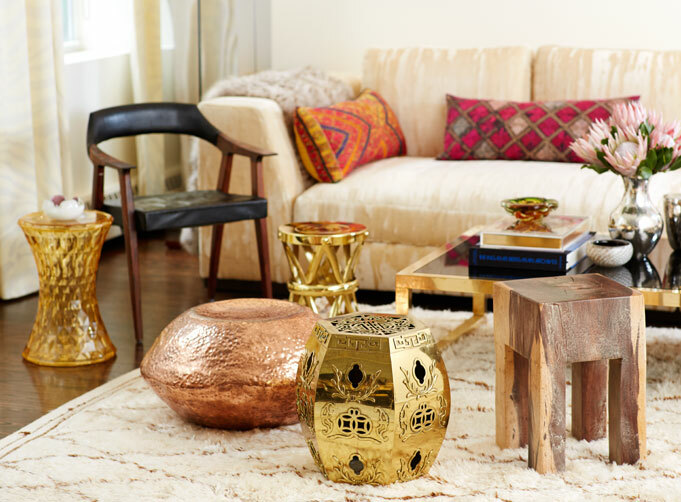 Does your taste in décor differ from your taste in fashion? I would describe both my home and style as “twisted classic”—a timeless foundation peppered with pieces that make you look (and think) twice. And we heard you throw great dinner parties. Thank you! I am not a hostess in the traditional sense. If guests want to wear jeans, drink too much, smoke too much, or argue about politics and religion, I am absolutely delighted! Sounds like our kind of party! Let’s talk business. We’re huge fans of your shopping site Moda Operandi. What sparked the idea? Speaking of fashion, the theme of tonight’s Met Gala is punk. How has punk culture influenced fashion? The influence goes both ways: punks are just as influenced by fashion (whether they’d like to admit it or not). What with all the shiny accessories, attention to detail, and aesthetic showmanship—it doesn’t get more fashion than that. No it doesn’t! Thanks so much for taking the time to talk with Rue. We can’t wait to shop your One Kings Lane sale today, and of course, see what you’ll be wearing tonight! This pendant lamp is like jewelry for your home. A good statement necklace dresses up your look, just like a sparkly light fixture glamorizes the room. 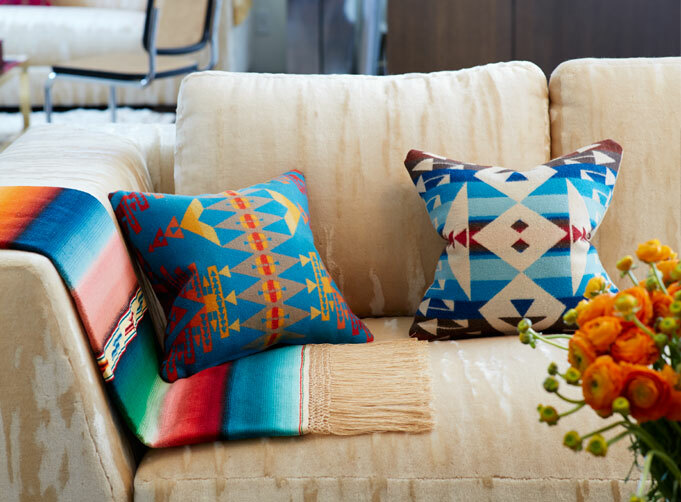 Ikat has become so ubiquitous that I’ve been gravitating toward authentic Navajo prints. These pillows add a pop of color without being garish. 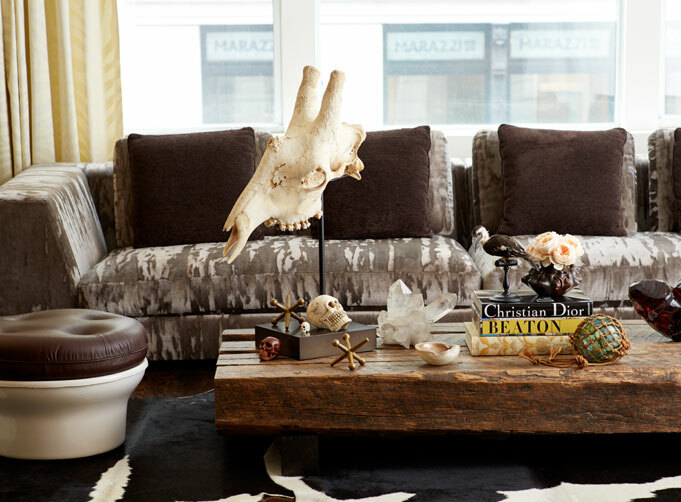 Nothing says, “welcome home,” like an antelope skull, right? Bizarre, creepy, and a lot morbid, taxidermy instantly subverts anything too “precious” in your home. In my imaginary beach house, this rather ridiculous (but awesome) rattan motorcycle is in the mudroom with towels and hats strewn about it—perfection. Oh please, not another “tastemaker” to bore us to tears.